President Trump likes to boast that his uncle, John Trump, was a brilliant scientist at MIT. Trump referenced his uncle in an interview with the Associated Press on Tuesday, in which Trump denied established climate science. Here’s what to know about John Trump. President Donald Trump isn’t known to be a big fan of scientists. For two years in a row, Trump has proposed slashing science research budgets at federal agencies including NASA, the Department of Energy (DOE), and the Environmental Protection Agency (EPA). Congress rejected those cuts, with lawmakers on both sides of the aisle instead supporting rigorous scientific research. The Trump administration has also removed the words climate change from annual memos, breaking precedent with Democrats and Republicans. And Trump is also the only world leader to back out of the Paris agreement, which aims to keep the rising global temperature in check. This week, Trump again made anti-science remarks during interviews with CBS and the Associated Press. On CBS, Trump suggested that scientists who study the Earth’s changing temperature have “a very big political agenda,” and denied the overwhelming consensus that climate change is happening and will get worse unless immediate action is taken to reduce our emissions. In a similar vein, he told the AP that “you have scientists on both sides.” To support that claim, Trump referenced his late uncle, John Trump. Courtesy MIT MuseumJohn George Trump in June 1952. Despite Trump’s frequent disregard for science, he references his uncle’s scientific mind pretty regularly and has been proudly singing John Trump’s praises for years. John Trump, the younger brother of real estate mogul Fred Trump (Donald Trump’s father) did not study climate or environmental science. Instead, MIT describes John Trump as a “pioneer” of high-voltage energy. He received his doctorate from that institution in 1933, and is credited with developing new kinds of high-voltage X-ray generators. That technology helped usher in new kinds of radiation treatments, which helped cancer patients live longer. 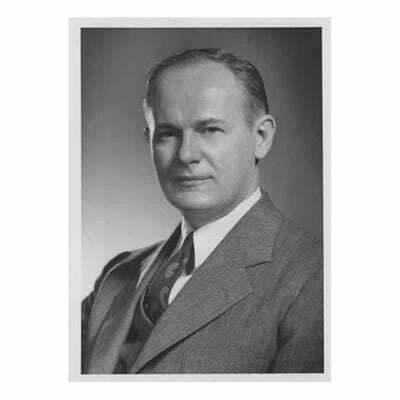 John Trump also helped develop new radar technology that was used in World War II. According to his obituary in The New York Times, which was published February 26, 1985, John Trump authored “nearly 80 scientific publications” and was a decorated scientist, earning a National Medal of Science in 1983. 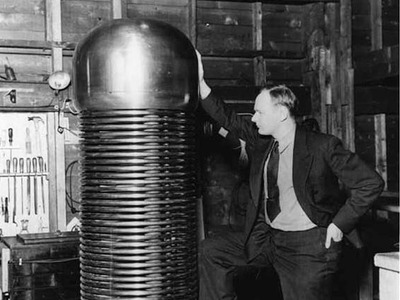 Courtesy MIT MuseumJohn Trump was an expert in early high-voltage energy. Trump has said that he used to “talk about nuclear” with his uncle, and notably, problems with the spread of nuclear weapons around the world. He once told Anderson Cooper during a town hall that “I hate nuclear, more than any.” But as a 2016 New Yorker column points out, that view doesn’t seem to have stopped Trump from displaying a “casual indifference” towards nuclear proliferation in his own politics.